Special Report: Senior living prices ready to rebound? Browse: Home / 2009 / October / 10 / Special Report: Senior living prices ready to rebound? Ray Braun of Prospects Advisory Group, John Moore of Atria Senior Living and Mark Myers of Marcus & Millichap. In this, our third article from the NIC conference, we explore trends in valuations for senior living real estate. The market for senior living facilities peaked in 2006-07. Both the total dollar volume and number of transactions achieved new highs in 2006, and average sale prices hit record levels in 2007. Since then, however, sales velocity has plunged and prices have dropped for the relative handful of assets that have changed hands. 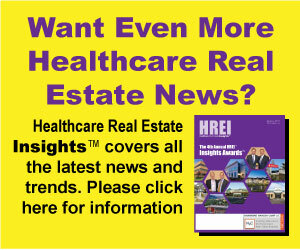 But some industry experts say the pricing trend could be reversed if there is renewed demand from freshly recapitalized public healthcare real estate investment trusts (REITs), and if private equity investors and institutions finally get off the sidelines.